Since 1997, Dianna has been presenting lively and upbeat programs about the area’s historic lighthouses, ghost towns, islands and other unique destinations and activities in her home state of Michigan. Dianna is a passionate professional speaker, with a degree in communications from Western Michigan University and 20+ years experience in radio broadcasting and public speaking. 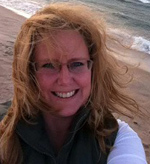 An established freelance writer, Dianna is a regular contributor to Michigan Blue Magazine and Grand Rapids Family Magazine, Michigan Home & Lifestyle Magazine and has also been published in Michigan Living, Michigan Travel Ideas, Lake Michigan Circle Tour & Lighthouse Guide, Country Lines, Tasters Guild International and Grand Rapids Magazine, among others. She is a member of the U.S. Lighthouse Society, Great Lake Lighthouse Keepers Association, Michigan Maritime Museum, Historical Society of Michigan and is on the board of the Michigan Hemingway Society. She also sits on the Ferris State University Hospitality Advisory Board, is publicist for the Michigan Brewers Guild and is Executive Director of both the Kent County Hospitality Association and Michigan Craft Distillers Association. Over the years, she’s been involved in countless organizations such as the Michigan One Room Schoolhouse Association, Allegan County Tourist Council, Michigan Culinary Tourism Alliance and Downtown Market Grand Rapids Board. Want Promote Michigan’s Dianna Stampfler to speak at your next event? For program fees and expenses, click for details! What is it about lighthouses that attract ghostly spirits? Maybe it’s simply a passion that will not go away. Lighthouse keepers were known to be extremely dedicated to their profession and it seems that many were never able to give it up — even after death. More than 30 lights in Michigan are rumored to be haunted. From the smell of cigar smoke at Seul Choix Point Light to the mysterious housekeeping at White River Light Station and the antics at Waugoshance Shoal, these stories will entertain all ages. This popular program is coming to the pages of “Michigan’s Haunted Lighthouses” — a book by Dianna Stampfler, coming in spring 2019 from The History Press. Read the draft Table of Contents online for the list of featured lighthouses. ORDER YOUR COPY FROM THE HISTORY PRESS HERE. They were women before their time, taking on the romantic, yet dangerous and physically demanding job of tending to the beacons that protected the shoreline. In all, some 40 women have been identified who excelled in this profession over the years — dating back as early as the 1840s and as recent as present day. Nearly 70 images of keepers, their families and their lights make up this presentation. The program includes readings from newspapers and autobiographies, as well as handouts including the list of featured ladies and additional reading references for attendees. Michigan is the second-most agriculturally-diverse state in the country. From cherries and grapes to blueberries and pumpkins, peaches and apples to asparagus and celery (and many, many more), the Great Lakes State is often referred to as the “Mitten of Plenty.” Add to that a growing industry focused on locally-sourced products such as cheese, poultry, sauces, jams, breads, chocolates and SO much more, and you have a feast just waiting to be devoured. Michigan is also home to many significant food manufacturers — such as Kellogg’s, Better Made Potato Chips, American Spoon Foods, Biggby Coffee, Jiffy Mix and Kowalski meats, just to name a few — that have helped shape Michigan’s culture. This program will not only introduce audiences to Michigan’s rich foodie and agricultural history, but will allow everyone to sample a few Michigan-made products as well! Michigan is home to countless “one of a kind” treasures – from the famed Mackinac Bridge to the internationally-recognized Scottville Clown Band and the uniqueness of the Petoskey Stone to the quaint Earl Young Homes in Charlevoix. Attractions – such as the Bottle House Museum in Kaleva, the Mystery Spot in Saint Ignace and the replica of the Eifel Tower in Paris – make for great adventures when traveling the Great Lakes State. Settle in for a virtual tour of some of Michigan’s noted, as well as many of its lesser known, sites worth visiting on your next road trip. Vacationers have been looping the lake for generations — but the official “Lake Michigan Circle Tour” route wasn’t established until the 1980s when the Michigan Department of Transportation teamed up with West Michigan Tourist Association (WMTA) to create the route and its official guidebook. Along the way, find more than 100 lighthouses, countless islands, unique attractions, parks and natural areas, miles of glorious beaches, quaint harbor towns, an internationally-recognized urban center and one “modern marvel” — the Mackinac Bridge. You are invited to take a virtual tour to some of the Lake Michigan Circle Tour’s well-known destinations and its best kept secrets with Dianna Stampfler, who worked for 7 years at WMTA as a primary researcher and promoter of the route. Before email and text messages, postcards were the premier way to send a quick message to family and friends. Fortunately, these cards have been preserved and saved from generation to generation — offering a glimpse into a simpler time of carefree vacations around the Great Lakes State. Postcards actually offer double the fun — with the beautiful scenic image on one side and the heartfelt message on the back. A long-time Michigan-themed treasurer hunter, Dianna greatly expanded her postcard collection throughout the summer of 2010 when she was laid up with a broken ankle and found solace among the virtual shopping market known as eBay. The collection, at more than 100 to date, spans from Michigan’s coast to coast and from one season to the next. While many seem to focus on the waters, boating and lighthouses, the primary theme in the collection is that the postcards hold ties to Dianna’s home state of Michigan — for which she is undoubtedly passionate. Where will you find the World’s Largest Weathervane? What famous actor hails from Manistee County? In what Michigan city is Jiffy Mix made? How old is the State of Michigan? The answers to these — and dozens of other — questions will be revealed during this interactive program: “Michigan: Tidbits & Trivia.” This family program promises to be entertaining, as well as educational. There are more than a dozen covered bridges throughout the state of Michigan, three within just a short drive of each other. Originally covered to protect the wooden floors from the elements, today they are one of the most photographed structures in the state. While some of these bridges remain open to automobile traffic, some limit their access to those traveling via foot or bicycle. Of course, you can’t talk Michigan bridges without referencing the most famous: The Mackinac Bridge and the Blue Water Bridge. Other uniquely significant bridges around the state will also be showcased. Michigan is a giant snow-filled playground when Mother Nature rolls out the winter carpet. Miles of trails available for snowmobiling and cross country skiing, dozens of slopes for downhill skiing and acres of wooded areas for snowshoeing are just waiting to be explored. There’s also plenty of opportunity for more extreme activities such as luging, rafting, ice sailing, camping and dogsledding. Those looking for less actual activity will enjoy one of many winter food offerings, including the Gourmet Glide, Zhivago Night, Mountaintop Dinners and Elk Viewing Carriage Rides. Don’t forget about the festivals such as Tip Up Town, Suds-n-Snow, Toast the Passion, Motown Winter Blast and the Women’s Winter Tour. Learn about the exciting things just waiting to be experienced in Michigan during the winter. Want Promote Michigan's Dianna Stampfler to speak at your next event? *Michigan made and grown samples will be served during this presentation.